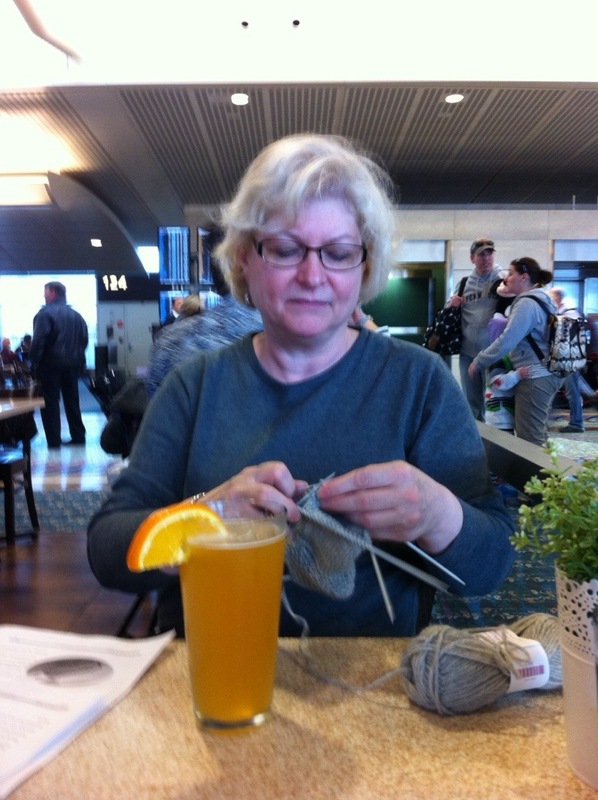 At the airport waiting for our flight enjoying a refreshment and knitting. Please excuse the Florida heat and humidity hair. This entry was posted in knitting, travel and tagged knitting, travel by Patti_is_knittinginflashes. Bookmark the permalink. Is that a blue moon? Welcome back!